Venice is one of the most beautiful and unique cities in the world. 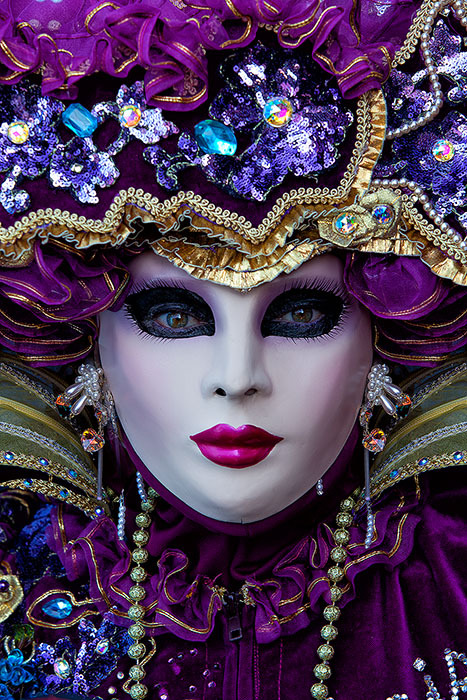 Each year, during the Carnival festival, Venice comes alive as amazing models in ornate masks and incredible costumes descend upon the city to be admired and photographed. 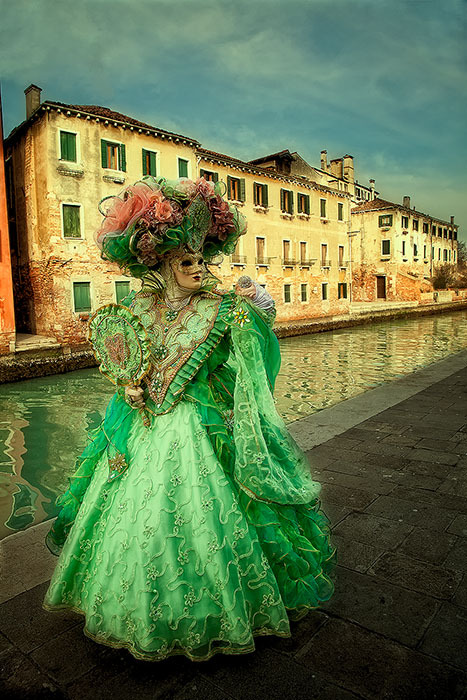 I am very excited to be co-leading this workshop with Renee Doyle, whose masterful Venice Carnival composites are an inspiration to many photographers, including myself. Renee and I have some great connections with many of the best models which will allow our group to have opportunities for private shoots in some locations away from the crowds. 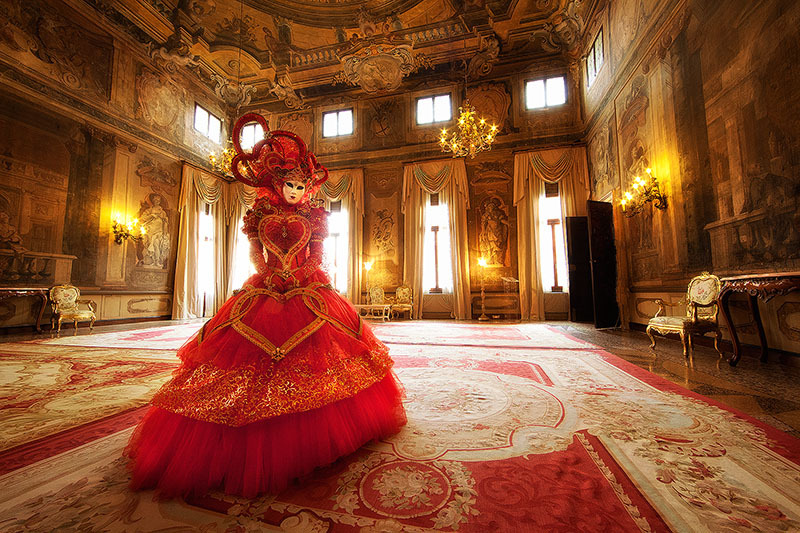 The Venice Carnival Workshop is different from most tours in that there is no itinerary from the standpoint of Day 1, Day 2, etc. The weather changes, opportunities for private shoots arise, and our models often appear in specific areas throughout the week. Although some shoots will be pre-arranged long in advance, we will adjust our schedule on the fly in order to get the most out of our time there. 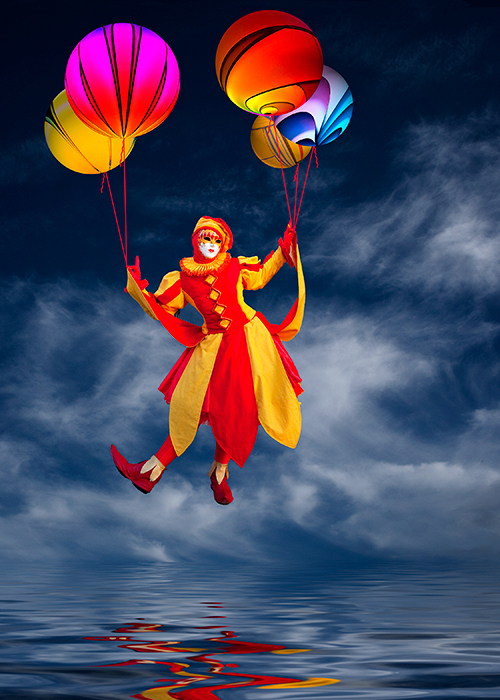 Composition, including "breaking the rules"
Although experience is an obvious advantage, this workshop is open to photographers of all skill levels. In fact, it is a great opportunity to learn! We have a low instructor-to-participant ratio and will do more than just get you to the right locations... we will assist you with composition and shooting, for those interested. At minimum, you will want to be familiar with your camera's and off-camera flash's controls. You will want lenses in the wide-angle and portrait range. Additionally, equipment to trigger your flash off-camera is important for the morning and evening shooting. If you don't own a flash and trigger, talk to me. Bring your laptop with Photoshop, Lightroom or Bridge. Nik Filters will also be important for post-processing sessions. Bring enough memory cards... I suggest at least 100 gigs or more. Extra camera batteries are always a good idea. And, of course, bring a tripod. 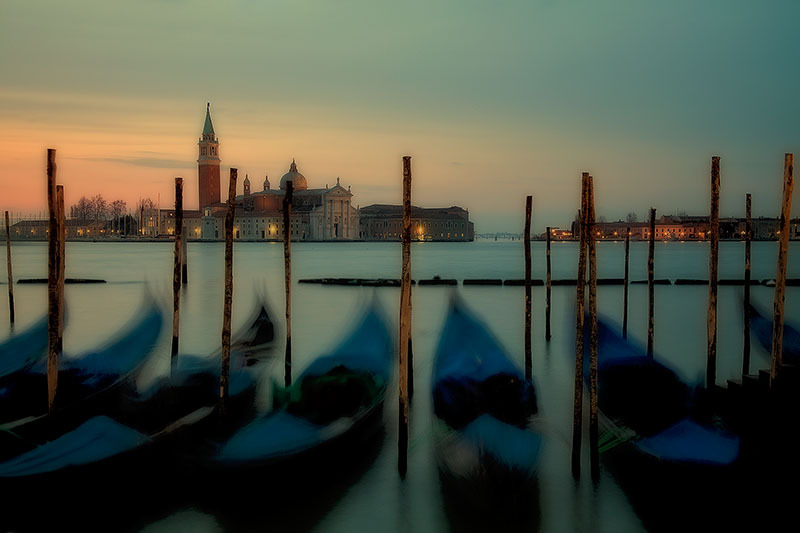 As you probably already know, you can't drive around Venice. So, we'll be walking a fair amount and taking the public water taxis. 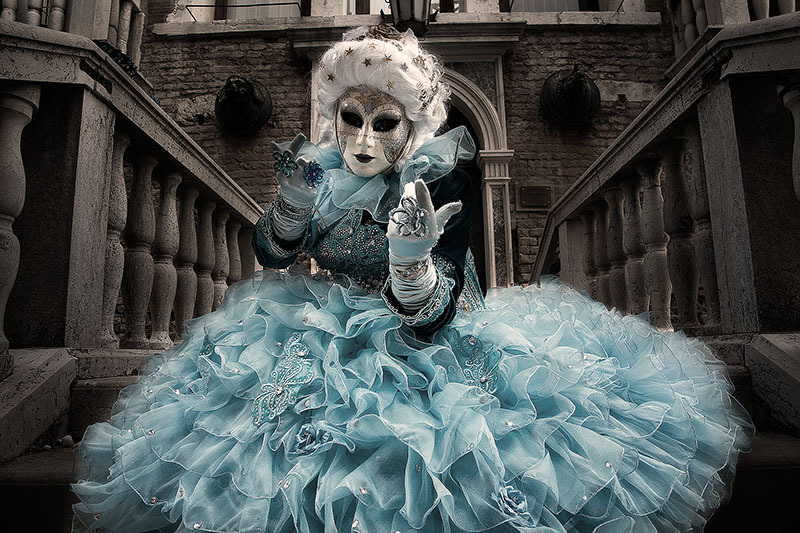 Some of the walking will be up and down stairs when crossing Venice's bridges. Additionally, the weather can be a bit chilly or cold in February, but usually not cold enough to snow. Deposit: USD 1,000 and a completed registration form to reserve your spot. ; Important - See "Tour Policies" (link below) for information on payments due and refund policy. Price Includes: Accommodations (sharing in double room unless single supplement paid), breakfasts at hotel, welcome dinner, farewell dinner, transport from/to airport by public bus and public water taxi, fees for arranged shoots, photo instruction & critiques. Note: If you prefer a private water taxi from/to the airport, we can arrange for an additional fee. 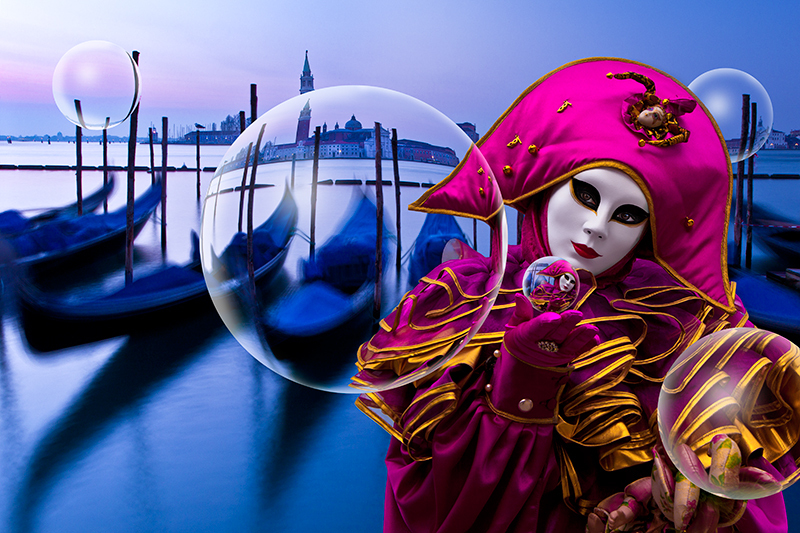 Price Does Not Include: Everything not noted as included, such as airfare to and from Venice, meals other than those noted above, alcohol, tips, passport and visa costs.